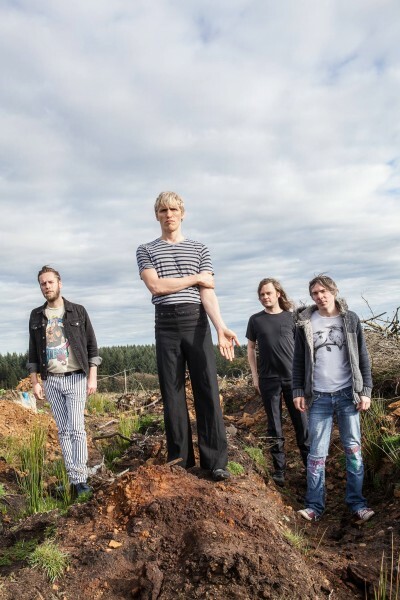 White Witches – the new band of former Pink Grease singer Rory Lewarne – celebrate the release of their debut album Heironymus Anonymous, a 10-track platter of alien rock and sci-fi ballads inspired by love, loss, and addiction. The new project from Dominic ‘Brontosaurus Chorus/Menaces/Penny Orchids’ fame. Likely to include a dub breakdown or two. ‘Cinematic soundscapes with sublime vocals, tight hypnotic grooves, sulky lavish guitars and a driving beat’… sometimes. + DJ Simon Drowner (Desperate Journalist/Some Weird Sin). Doors open 8pm. Price on the door: £7.